Chatfield, MN – Wilderness Attitude Podcast is the #1 podcast for people that love life in the Wilderness. 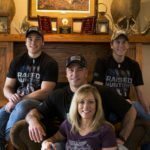 Podcasts are Quickly becoming the strongest avenue for positive communication and Pope & Young feels strongly about embracing this partnership and growing its reach to the men, women and children of the bowhunting community. Wilderness Attitude is adventure and stories of amazing men & women around the world who live in the spirit of the outdoors with an ethical and conservational mindset. You can find the WA podcast on overcast, podbean, stitcher, iTunes, tune-in and google play with a new episode released every Tuesday. Links to the Wilderness Attitude podcast can be found at https://wildernessattitude.com or on the P&Y website. Click the “Podcast” button on the homepage at www.pope-young.org to find links and start listening. Be sure to subscribe so you don’t miss a single one of these incredible episodes. You can keep up with WA daily on both Instagram (wildernessattitudepodcast) and Facebook (wildernessattitude). 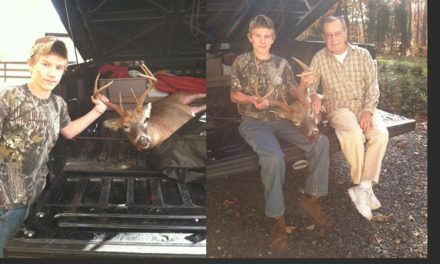 The Pope and Young Club is a non-profit North American conservation and bowhunting organization dedicated to the promotion and protection of bowhunting by striving to increase awareness and appreciation of bowhunting foundations, principles and values. The Pope and Young Club is focused on Fair Chase hunting ethics that support the ethical pursuit of free ranging, wild game animals without unfair advantage while promoting the conservation of both habitat and wildlife. 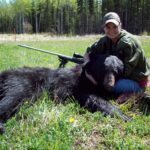 The Club also maintains the universally recognized repository of records and statistics on North American big game animals harvested with a bow and arrow.